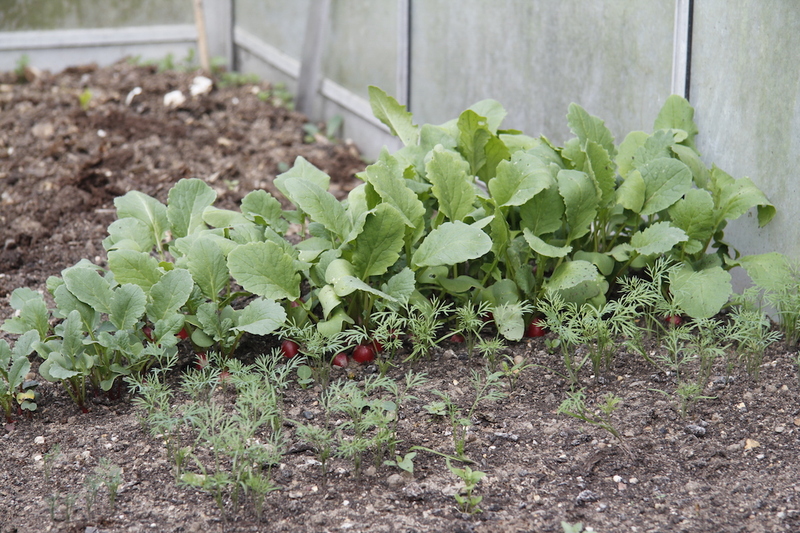 It is the first year I have sown salad in the greenhouse early in the season and it is working well – we have even eaten our first radishes from there. 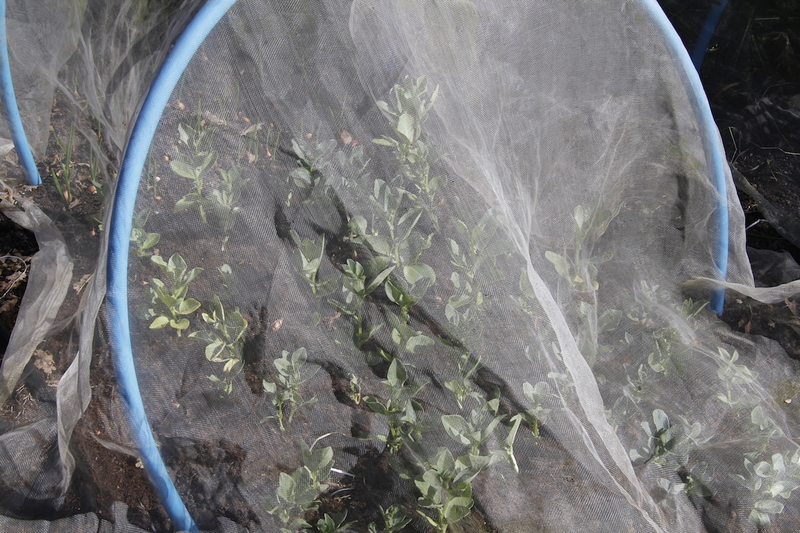 I put everything under enviromesh at the moment – it stops the birds eating the shoots and it might even stop blackfly? I will find out. You can see some onions in the background. 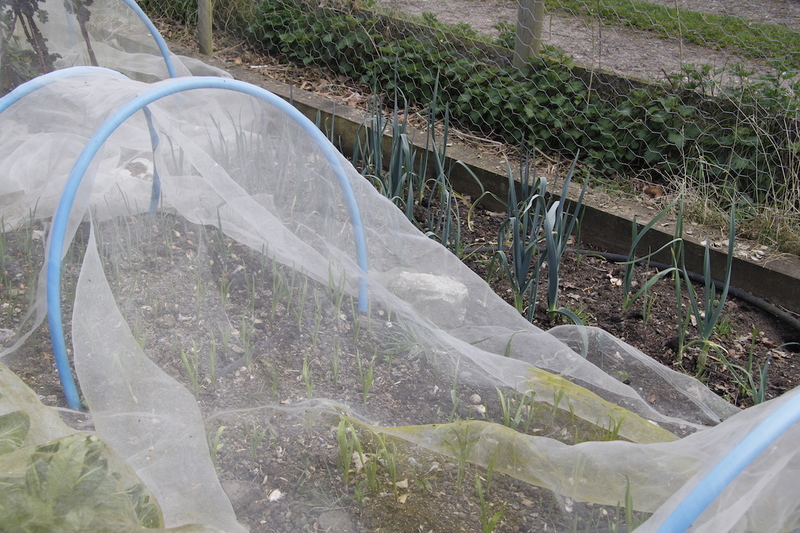 My garlic and onions aren’t doing too badly – it would of course be better if I planted them in the autumn but I never get round to it – exhausted fro the summer and getting busy for a new semester at university. This year I haven’t eaten a single leek – yet. Last year we seemed to live on them, but as a result of me letting weeds grow round them and then Kainaat helping with the digging we have hardly any and they are tiny – possibly a result of planting them out too late. 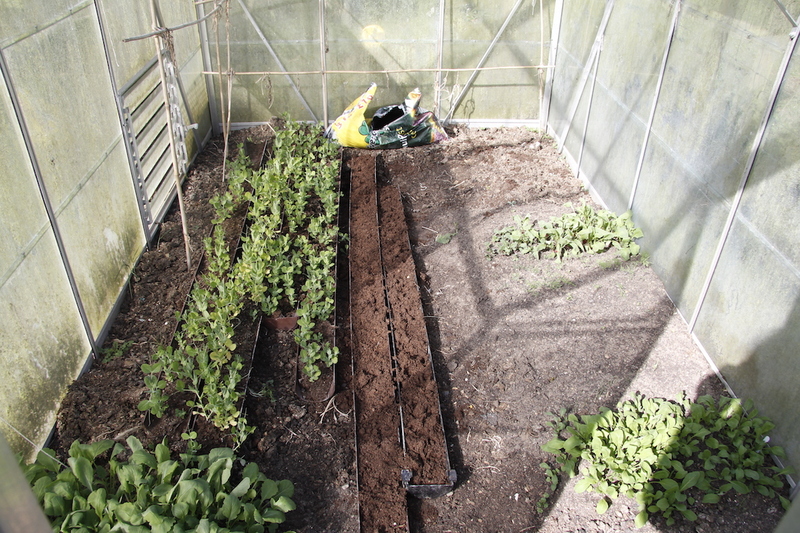 Currently, I don’t have much in the way of a garden for veggies – well I do, but it is odd shaped and in different areas. I am planning to make a proper vegetable garden, allotment style in the field with the PV array. 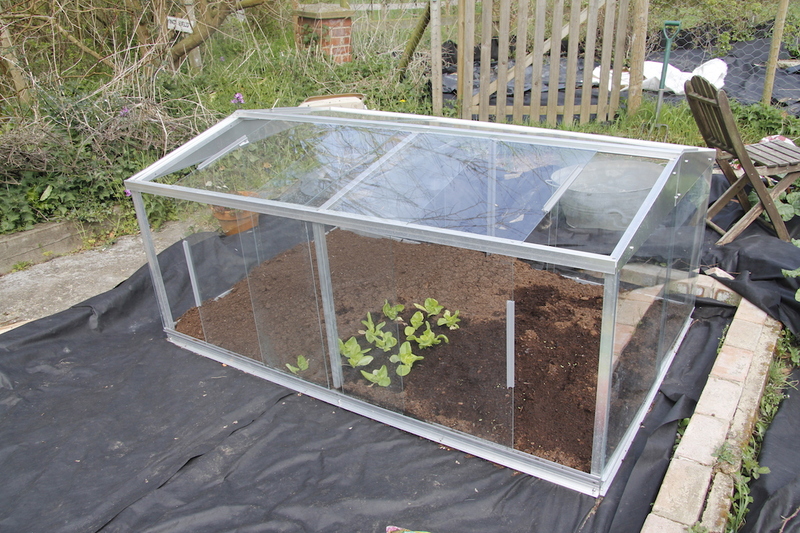 It will be big and hopefully will solve the problem of me keeping seedlings and plants for too long in the greenhouse. I am already growing my leeks for next year – I hope they do better. 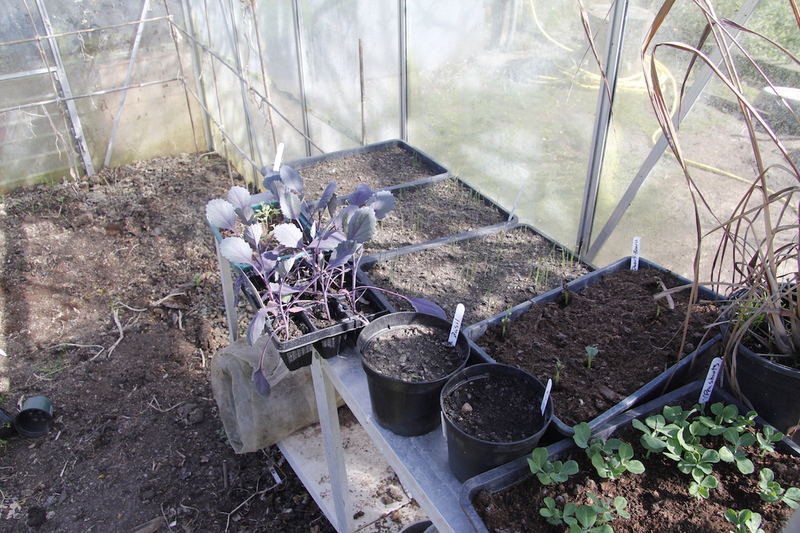 You can see red cabbage there as well – these really need to go in the ground asap. We have started to get purple and white sprouting broccoli. 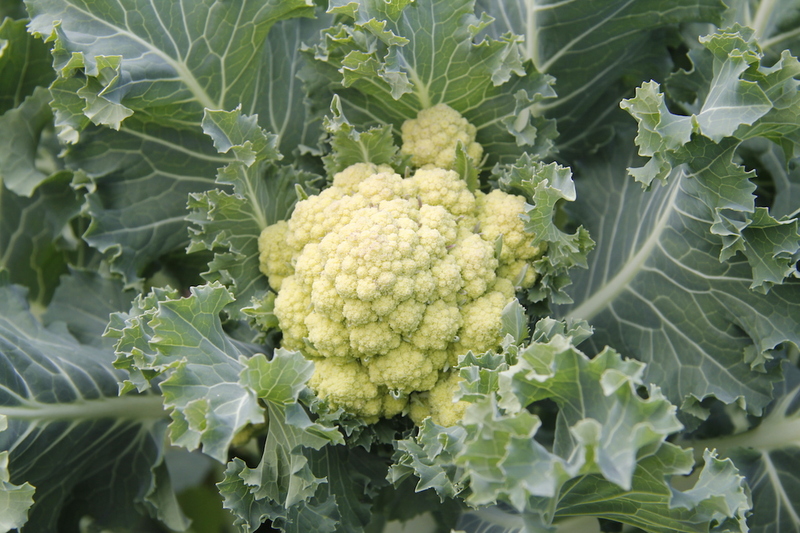 I didn’t realise you have to cut out the centre head to get the sprouting bits on the white stuff – we have heads the size of small cauliflowers. Hopefully now I have cut them out the side shoots will grow. 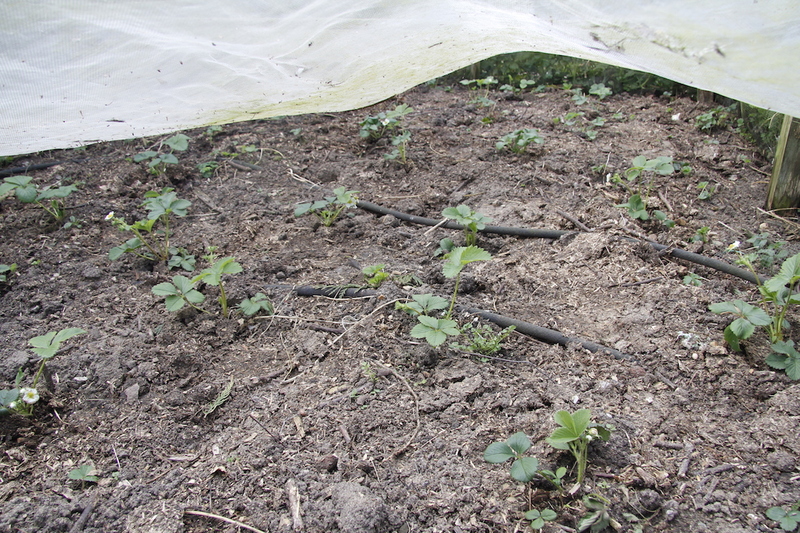 I have tidied up all my strawberry beds – please please let us get lots and lots of strawberries this year. In one of the beds that got a bit neglected last year weeds had killed quite a few of the plants, so I had to buy some more. I also got some runners from my lovely neighbour so that helped. This weekend, I will make a concerted effort to get my garden in proper order and pot up all the seeds I have been growing in the house! Well it is Autumn up here on top of the world, so we are thinking about having another go at Broccoli, the first sown peas are up looking for a trellis or some structure that will not be there for another 3 weeks as we are going to Auntie Mary’s 100th birthday party, so they will have to flop around for a while. picked the first beans from the last plants of the season(does that make sense? 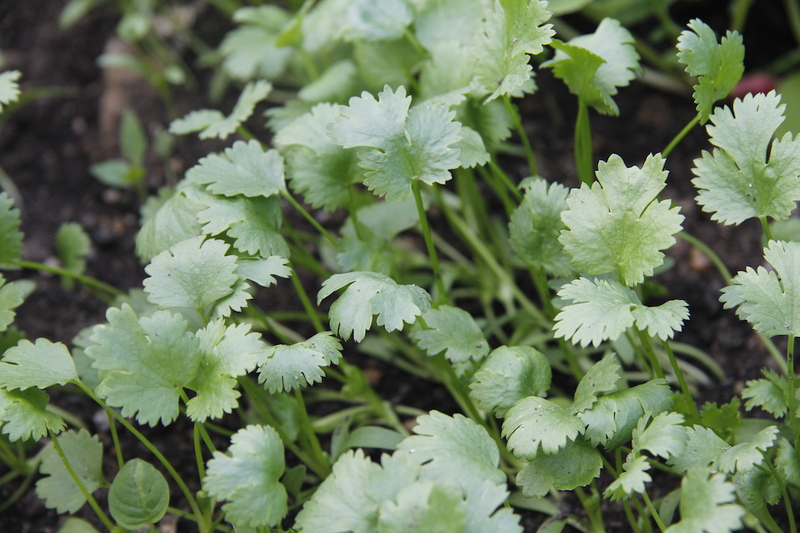 )A friend is looking after some salad greens that I planted from seed at an ORGANIC seed course! Weeds are good, capsicums are beginning to turn red, more sweet basil than I can handle, not enough time to turn it all into Basil Pesto which was the idea! Anyway enough from the top of the world where it is autumn. Bye for now. Uhhhh, once again I’m flabbergasted by your ability to create and work! And I thought I was doing really well by raking the front garden last evening. But I don’t think anyone will ever compare to you my lovely Claire! Once again, simply amazing. LOVE your blogs…keep them coming please! !